Last Thursday the Australian Parliament passed resale royalty rights legislation for visual artists. The Arts Minister Peter Garrett described it as a "red letter day for Australia's visual artists". The introduction of such a law was an election commitment made by the Australian Labor Party during its 2007 campaign. It follows almost twenty five years of on-again off-again debate in Australia about the merits of resale royalty rights for visual artists. Under the new law artists will receive a proportion of the proceeds when their works are re-sold. The system only applies to works first sold after the law's introduction, which is expected to occur by mid-2010. It is also limited to sales over $1,000. The royalty will be payable until seventy years after the death of the artist, as is the case with other forms of copyright. The rate will be five percent of the sale price although administration costs will also be deducted before the final payment is made to artist. The scheme will be administered by a central authority as is the case for copyright royalties in the music and publishing industries. The new law will bring Australia into line with European Union member countries. 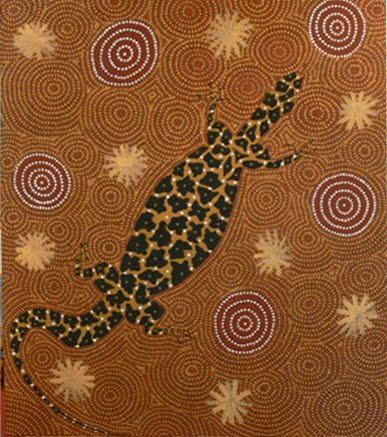 It is expected to be particularly beneficial for Indigenous visual artists in Australia. It is in the Indigenous art market that some of the most extreme cases of price inflation that have failed to benefit the original creator have occurred. While the new legislation is not going to solve all of the financial problems facing visual artists in Australia, it may help some to keep the proverbial wolf from the door and allow them to spend more time on their creative practice.